Kozhikode (aka Calicut) is a city with more than a million people. The third biggest city in Kerala also head quarters the North Kerala district with the same name. Kozhikode has been a thriving trading hub for centuries. Bestowed with natural ports, it traded eastern spices to Phoenicians, Arabs and Chinese. For good reason, Calicut got the name the city of spices. The arrival of Vasco da Gamma, the Portuguese navigator in 1498, set a turn in history. As soon as the word about a world of spices and a new sea route spread into Europe, British and French followed suit. History of the spice coast got spiced up with wars and colonialism. A specialty of the region was wooden ships. They were constructed at Beypore, a nearby sea port. Large wooden ships called Urus were a fascination to Arabs. For centuries, they kept local trade busy with successive orders. Proudly made in Beypore, ships sailed to far seas. Today, Kozhikode remains a prominent trading centre. Pepper, rubber, tea, coffee, coconut and lemon grass oil and so on are exported from here. Kozhikode is a stop by place for visitors to the far north, whether it is Wayanad, Kannur or Kasaragod. Travelers from Managalore traveling to South Kerala also touch the City. Calicut is more than a convenient refreshment spot en route to distant destinations. Scenic and cultural attractions of the district can occupy a few days. The city may take up some of your time with its Sweat Meat street, the main market (Valiyangadi), Mananchira, monuments and other interesting spots. Sweat Meat street (S.M Street aka Midhai Theruvu) is a place that is full of life. 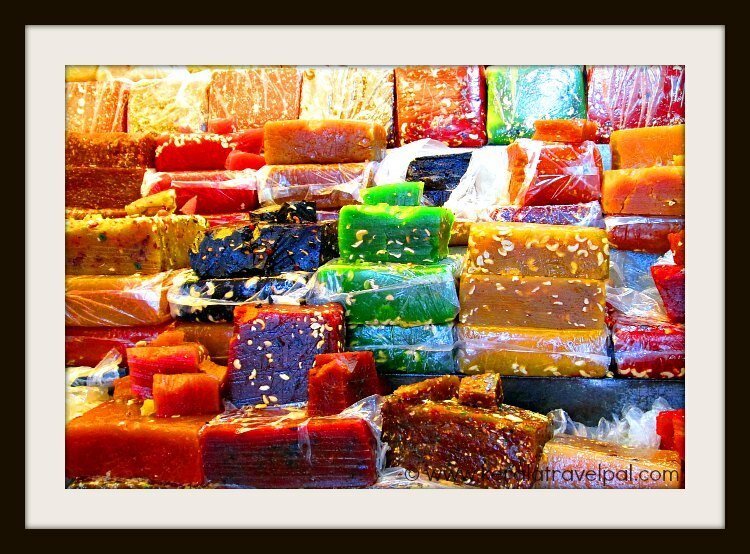 A fusion of aromas entice as we walk past great many sweet stalls displaying halwas of all sorts of colours. Halwas, by the way, are rich sweets coming in large blocks and cut to order. They are also known by the name sweet meat, which is descriptive of their texture. The local main market, Valiyangadi, is 600 years old and still going on in full steam. Mishkal Masjid and Tali Temple signify diverse religious practices. Common to both is great architectural structure and history of hundreds of years. If you love them, there are more heritage buildings. Planetarium and Science lab share the same compound right in town. When you had enough of the crowded lanes and the hustle and bustle it may be the right time to leave the city. Thusharagiri waterfalls is one of the best places to see. Thusharagiri has a set of waterfalls. What is impressive is the hill station feel. If you are after that feel, the best place to be is Kakkayam, in the east. 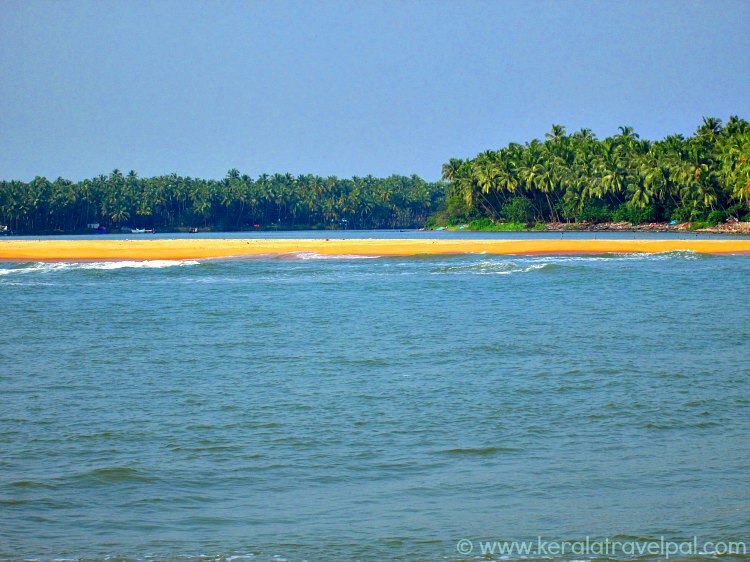 If you miss the beach sands already, Kappad and Beypore beaches are the well known ones . Kozhikode beach near the city is a quick getaway spot. 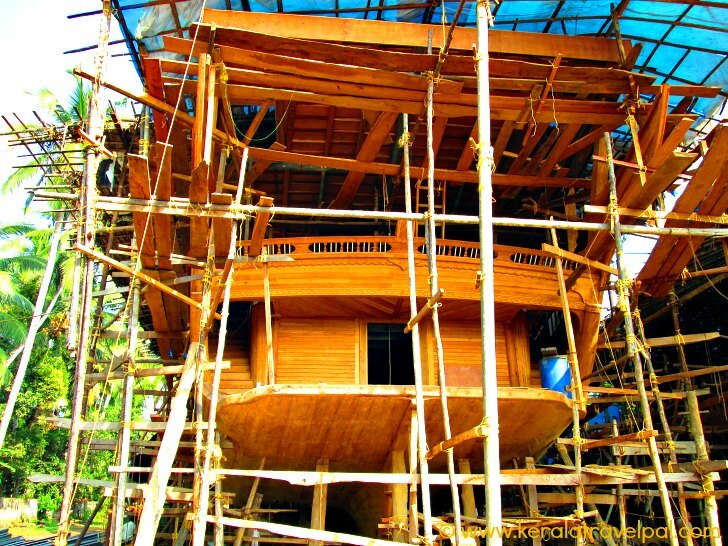 At Beypore you can also visit the Uru building yard to get a firsthand account of manual ship building. Kadalundi bird sanctuary is also near. Bird population arriving here have dwindled in the last few years. On the plus side, you can take a jankar ride to Chaliyam, see a few birds and have a stroll in the beach there. The good news for backwater addicts is that Kozhikode has its own Backwater network. Enjoy glimpses of local life as you ride through Canoli canal, Elathur canal, Korappuzha River and Kallai waters. Have you heard of Kalarippayattu? Something unique to Kerala, it is a defensive art with rhythmic steps. North Kerala has its own distinctive style. The local region of Vadakara is the land of legends. Heroes and heroines of the region took Kalari combat to greater levels. Arab influence to local life is quite profound and is best reflected in local cuisine. A must do in Calicut is enjoying local delicacies. Halwa, Briyani, Pathri, Chukkappam, thin cut banana chips.....the list goes on.